CARLSBAD — The instrument she plays has a history of more than 2,000 years. But for Wu Man, the preeminent pipa musician, she believes that there must be a reason why the old instrument still exists today. The pipa, a lute-like instrument from ancient China, has a long neck with four strings. Using finger picks on one hand, the player plucks or strums the strings, while the other hand is darting up and down the neck, depressing the strings to make notes or form chords. Wu Man, who was voted Musical America’s 2013 instrumentalist of the year, started playing the pipa at age 9 at the urging of her parents. As a 9-year-old, she admitted learning to play it wasn’t easy. “It’s very demanding. So, the first few years were difficult for me to spend time,” she said from her Carlsbad home. She had recently returned from a nearly sold out solo performance in Berkeley, Calif. But when she turned 13, she started to get into the music more, and that’s when she started to fall in love with the pipa. The history of the pipa is extensive. “It is through this instrument I learned a lot of Chinese history, not only music history, but also the whole Chinese culture history,” Wu Man said. As a young musician just graduated from the Central Conservatory of Music in China, she was looking for things to do. In 1990, she came to the U.S. She didn’t speak English, and no one knew what a pipa was let alone what Chinese music was. Yet, the culture shock she experienced once in the U.S., and with the amount of opportunities she had to do so many different things, changed the way she understood her instrument and also what it was to be a musician. That much tells her how tremendously things have changed since first arrived in the U.S. Though bringing the instrument into the mainstream wasn’t necessarily her intention from the start. But after these past 20 years of hard work, Wu Man said she does now feel like she has a responsibility to introduce her Chinese instrument to the West. 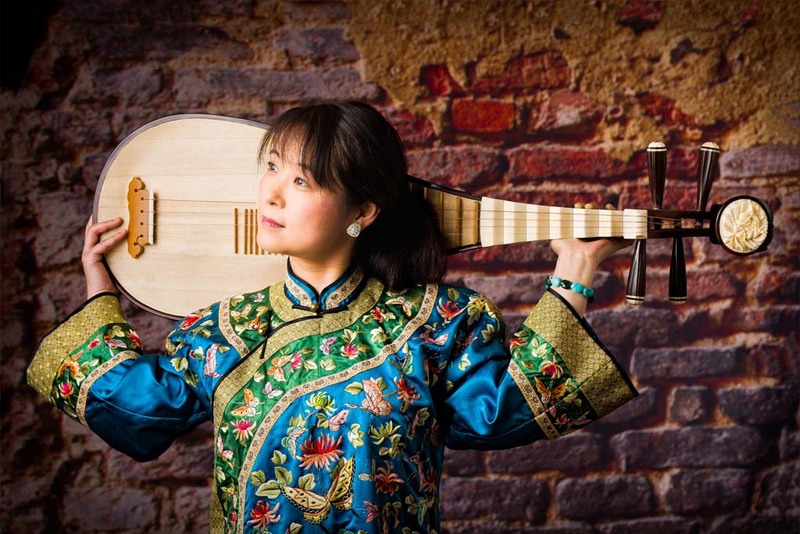 Despite the instrument’s thousands of years of history, Wu Man doesn’t think about what it means to be traditional or what it means to be contemporary, when she plays. “To me, the big picture is just the music,” she said. Whether she’s playing the music of her oral traditions, which have been passed down through generations, or the music written by someone recently, she said to her it’s just a different kind of music language. Wu Man has worked with several composers, including Philip Glass, who has created pieces specifically for her to play. On Feb. 4 she’ll be performing at the 11th Anniversary Benefit fundraiser for the Carlsbad Music Festival. Her intentions for the evening? That the people who attend will hear the value of the music the instrument makes and that it opens minds for people to enjoy it. When: Feb. 4, 7 p.m.